London, 10 Oct 2011 -- At a time of significant market uncertainty and greater risk of another economic meltdown, PwC research shows that company reports are leaving an information vacuum by not providing investors with a complete view of the strategic opportunities and threats to the business. PwC's study of the 350 largest listed UK companies revealed that less than half (45%) clearly explain the potential impact of the risks they have identified or how they intend to buffer their effects. There is a risk that a nervous market will mark a company's shares down and ask questions later if the quality and sustainability of its performance and future prospects are not clear. Only 16% of the FTSE 350 clearly based their reporting on their strategy throughout their accounts, while only 35% clearly align their key performance indicators with strategic priorities, the survey found. The survey also found that two thirds of those companies reviewed are failing to clearly define their business models in their annual reports. These companies appear to be confused about the definition of a business model, focusing on responding to emerging regulation (required from next year under the UK Governance code), rather than making its relevance clear and linking it to the other company information provided. At first sight, these statistics appear to be concerning- especially given the economic conditions the UK and the rest of the world is facing - but companies are meeting the basic regulatory requirements and reporting is gradually improving in some areas. 97% are reporting principal risks. 84% discuss future market trends. 93% explicitly identify key performance indicators. On the issue of explaining their risks, companies have improved markedly since last year – when only 18% were clear about the impact of their risks. "Management teams today are constantly having to re-evaluate their business strategies at a time of significant economic uncertainty and changing market dynamics. Investors are also having to keep a very sharp eye on their investment strategies. Understanding the issues and having a clear strategy in place to respond to the changing dynamics – whether they are caused by financial crises, more global competition or resource scarcity – is essential to maintaining competitive edge." "We are entering a period of significant flux in the company reporting landscape. Markets, regulators, and companies and an ever broadening group of stakeholders are demanding change. We need to ensure that we all work together to achieve a meaningful and long-lasting solution that puts us in the best position to forecast and buffer the effects of economic upheaval. That is why we have been working with companies and investors to help improve reporting, and celebrating the most effective reporting at the Building Public Trust Awards, for the last nine years." There is a hive of regulatory activity taking place at the moment. Different approaches are being taken, but it all has one ambition: to create a reporting model that delivers the information needed to understand the quality and sustainability of business in the 21st century. Experiments in the Financial Reporting Council's 'reporting lab' and the International Integrated Reporting Committee's 'pilot programme', together with consultations on the future of reporting from the Department for Business, Innovation and Skills (BIS), are all providing practical mechanisms to improve reporting, without necessarily dictating how this is done. Some companies are blazing a trail across the reporting landscape with highly inventive reporting. Puma's environmental profit and loss account, for example, put a cost on its use of carbon and water across its entire operations (including the whole of its supply chain). Puma's management sees this as essential information to inform its future strategy – from product development to the shape of its business model. It is also the first phase of its plan to innovate across all its reporting and take stock of its social and economic impact in a similar way. "We believe that emerging practices from forward-thinking companies have the potential to transform corporate reporting. Management teams have a real incentive to improve – they are looking for ways to access better information that supports their decision making and gives them a competitive edge. Coherent external reporting follows from effective management processes; it cannot be achieved by regulatory compliance alone." 1. PwC reviewed 298 reports for periods ended between 1 April 2010 and 31 March 2011 – 100 in the FTSE 100 and 198 in the FTSE 250. 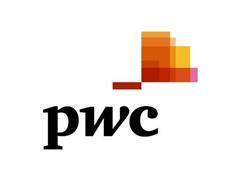 PwC firms provide industry-focused assurance, tax and advisory services to enhance value for their clients. More than 169,000 people in 158 countries in firms across the PwC network share their thinking, experience and solutions to develop fresh perspectives and practical advice. See pwc.com for more information.